Obsessive compulsive disorder (OCD) is not just exclusive to humans. Dogs too can suffer with compulsive disorders. With some dogs, meals aren’t the only source of oral intake they have. Wool and other fibers, non-digestible plant material, rubber, plastic, wood, and even their own hair are just some of the things a dog may choose to ingest. Called pica – the drive to consume material that is not generally considered food – is what animal behaviourists call a compulsive disorder. In a human, a compulsive disorder may be repetitive, such as frequent hand washing or pulling one’s hair out. 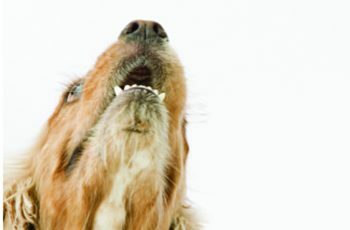 In dogs, these disorders can include excessive licking and spinning in circles. Compulsive disorders are competitive, nonfunctional, nonbeneficial behaviors. 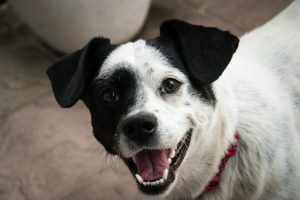 Although the exact cause of compulsive disorders is unknown, animal behaviourists feel that they are often caused by stress brought on by environmental conflicts such as competition with other pets, changes in the home, constant punishment, or confinement to small areas such as cages or crates. Lack of socialisation or too much attention may bring about a compulsive behaviour as well. A nutritional imbalance can also lead to pica. 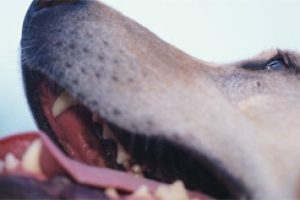 A dog with a compulsive disorder loses control over his ability to initiate and stop these negative, repetitive actions. Often the compulsive behaviours are oral in nature, causing the dog to eat things he shouldn’t. 1. The first step in treating a compulsive disorder is to identify the cause and eliminate it. For example, if your dog is crated for a large portion of the day, allow him outside the confined space to help get him on the road to recovery. 2. Don’t reinforce the behaviour by paying attention to him while he is engaged in it. Providing good quality time on a set schedule is preferable and more effective than petting, stroking, or verbally consoling your dog in the midst of repetitive activity. 3. Do not reinforce the behaviour by punishing your dog for the compulsive behaviour or for other inappropriate activities. It may make the problem worse. 4. Spray household objects your dog likes to chew with cayenne pepper, essential oils in citrus, cinnamon, or eucalyptus scents, spray deodorant, or perfume that is not your own. 5. Spray favourite chewables with a pet repellent to deter your dog from sticking non-food objects in his mouth. 6. Keep dangerous objects such as yarn or string out of your dog’s reach to prevent him from chewing and swallowing them. 7. If your dog is chewing his hair, he may have an allergy. Discuss the problem with your veterinarian before embarking on a behaviour modification program. 8. As a last resort to solve a compulsive eating disorder, discuss drug therapy with your veterinarian. Drugs that increase serotonin levels, like Prozac and some antidepressants, are used for treating compulsive disorders, including compulsive eating.